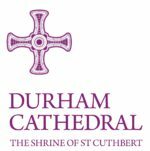 Durham Cathedral is one of the great buildings of Europe: a Christian Church of the Anglican Communion; seat of the Bishop of Durham; and a place of worship, welcome and hospitality. From business meetings to formal banquets, Event Durham can provide a dedicated service, tailored to your specific needs. With 10 unique venues, each offering an extensive range of facilities, you’ll be spoilt for choice. From our purpose built Business School to Durham Castle we have something to suit everyone. Join us for a luxury getaway to the North East of England in our newly refurbished 16th century country house hotel. Make yourselves comfortable and experience everything Hallgarth has to offer, from 4 star accommodation and relaxed dining to bespoke weddings and exclusive use gatherings. The Kingslodge Inn is the perfect place to enjoy delicious home-cooked food or a drink with friends, family or colleagues, and offers city centre accommodation that’s great value for money. Newcastle Rugby are based at Kingston Park Stadium and operate Newcastle Falcons and Newcastle Thunder, the regions only professional teams in rugby union and rugby league respectively. In addition to being the home of exciting live sport, the stadium is also available for a range of conferences, events and weddings. Ramside Hall Hotel , set within a magnificent 350 acre estate, is County Durham’s largest, privately owned hotel which has just benefited from a £16m investment which has seen the creation of a second championship golf course and a new wing of state-of-the-art rooms. The hotel boasts 4 restaurants including the renowned Rib Room Steakhouse & Grill and its newest addition, Fusion, with a pan-Asian menu. Pemberton’s Carvery offers traditional British cuisine and informal dining is also available in the Clubhouse. The jewel in the crown, however, is The Spa at Ramside, which offers a range of lavish facilities, including five pools, a gym, thermal suite, restaurant and hairdressers. Redworth Hall is a stunning 17th century Jacobean Manor House situated in the blissful tranquillity of its own 26 acres of landscaped grounds. Part of The Cairn Collection, this signature four-star hotel is home to 143 bedrooms, The Retreat fitness and beauty rooms, and a number of function rooms hosting up to 250 guests, making it the perfect destination for business or pleasure. The Croft Hotel is a grade II listed hotel situated near Darlington. It offers intimate, luxurious accommodation in close proximity of Darlington. The Hotel is also perfectly situated to explore Richmondshire and the surrounding areas such as the Croft Circuit. We are able to host events from 10-200 with intimate ease. Situated on the outskirts of Durham in the Tees Valley, this striking four-star hotel provides an exceptional experience – where exquisite charm meets contemporary comfort. Surrounded by 150 acres of historical landscape, you’ll find it hard to escape the sense of tranquility that encompasses Wynyard Hall. With spectacular function rooms that can seat up to 240 guests and The Grand Marquee seating 650, we cater for special occasions of all sizes.